remember for Easter basket treats too! the great masters and how to build an art library at home. Great information from Sweet Hot Mess for Playful Learning. Whether your kids are going back to school, or you homeschool and are planning a new year, the end of summer and beginning of fall are memory making times. The ideas gathered here will help ease the transition and are fun projects to work on together. Enjoy! More Back to School ideas in the archives! Try making art with paint rollers with this idea at A Magical Childhood. Fun Activity for Kids: Flour Bombs! Katherine Marie shows how to make these fun flour bombs that the kids will love! This post is sponsored by The Home Depot but all the ideas and opinions are my own. Chores are necessary for kids to learn how to take care of themselves and their home but getting them to do them is never easy. With my kids, I always stress that we are a team and that we have to work together to get everything done. As a single homeschooling mom, that's no exaggeration. This chore chart emphasizes building something together rather than payment for chores, and makes a pretty addition to your home as well. Each tree has a chore written on the back. 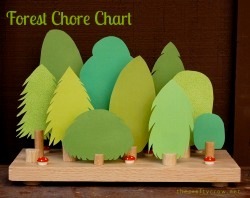 To use this chore chart, make a pile of the trees and as each chore is done that tree can be placed in the forest. When the forest is full then your chores are done! 12" x 5 1/2" x 3/4" red oak board [Dimensions of the base can be varied. Cut 1/4" to 2" segments from both dowels - no need to measure - I ended up using 11 total in a variety of the two sizes. Using the clamp, saw a slice into the top of each dowel segment at least half-way down into the piece. Test if the cut is straight by placing a piece of paper into the slice and see if the paper sits level or not. Sand all of the cut edges of the dowel segments and the wood base until everything feels nice and smooth. Decide where you want your dowel stumps and wood mushroom plugs to go. Insert paper into each dowel segment to make sure there is enough room between stumps. Make a small pencil mark under each stump and mushroom when you know where you want them to go. Start gluing down the stumps (put glue on pencil mark and on the bottom of your stump, wait about a minute then glue together). Place a rock, or similar, on top of each stump to clamp while drying. Meanwhile, paint your mushrooms. First, give each wood button plug, or mushroom, a coat of white paint. Next, paint just the top red; it might need a couple of coats. When dry, add a few white dots to the top of each mushroom. After they are dry, paint just the top with Mod Podge. Glue the mushrooms in place on your base. Stick self-leveling felt pads in each corner on the underside of the base. Cut a variety of tree shapes from scrapbook paper. Depending on the paper and width of the slices in your stumps, you may need to glue on an extra layer (or two) of paper, at the base only, to make them sit tightly in the stump. 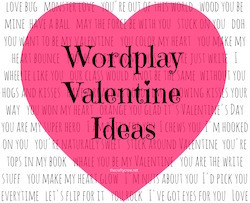 Write chores on sticky notes, trim, and stick to the back of the trees. A full forest means that all the chores are done! Remember, The Home Depot Do-It-Herself Workshops specialize in projects that are of interest to women and there is a new one every month. You can also follow the hashtag #DIHWorkshop on any social media and find other creative ideas from The Home Depot. You can check out my Do-It-Herself Workshop Pinterest board here! The Home Depot partnered with bloggers such as me for their Twitter Party and DIH Workshop program. As part of this program, I received compensation for my time. They did not tell me what to purchase or what to say about any product mentioned in these posts. The Home Depot believes that consumers and bloggers are free to form their own opinions and share them in their own words. The Home Depot’s policies align with WOMMA Ethics Code, FTC guidelines and social media engagement recommendations. Home Depot Gift Card Winner and #DIHWorkshop Info! This post is published in partnership with The Home Depot. All opinions are my own. The winner of The Home Depot $100 gift card is Anna, who said, "I signed up and can't wait to attend! This looks like an awesome project to make." Congratulations Anna! This past week I helped to lead a Chore Chart Do-It-Herself Workshop in Nampa Idaho and had a wonderful time meeting the other leaders and the attendees. They had a fantastic set-up and a great turn-out. Besides learning how to make the chore chart, there were snacks, giveaways, and swag bags! 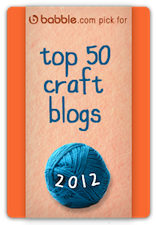 They even made me my own orange apron painted with my name and The Crafty Crow logo - so cute! 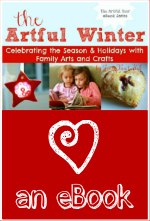 These free workshops are especially designed for women and called Do-It-Herself Workshops. You can click here to see the current schedule and to sign up online. You can also keep up to date through social media like Pinterest and Twitter by using the hashtag #DIHWorkshop. Thank you to The Home Depot for providing the gift card for this giveaway and The Home Depot Nampa ID for a wonderful evening! Coming soon - a tutorial for a chore chart of my own design that I can't wait to share with you! These cookie sunglasses would make a great treat for an end of summer party or a "future's so bright you gotta wear shades" back to school party! Found at Cupcakepedia.